Here he is, my re-imagined Dragon’s Egg for Dragon Con, all done up in his beautiful frame. This was a test run of shots I took on my iPhone. When he hangs in the show you’ll see below the egg, the title, number and signature. I’m taking print no. 1 from a limited run of 15 to the 2014 Dragon Con Art Show. There will be 10, 4×5 inch open edition prints in the show’s Print Shop. The 8×10 inch limited editions are available now in my Etsy shop and if you’re quick, they are on sale for a few more days! I’m going to have quite a few large artworks at Dragon Con this year, but there will be a selection of smaller works too like this little guy. There will be a range of artworks in a range of prices. As the event draws closer I will have some detail information on what I’m taking on my website – amandamakepeace.com. Everything in my Etsy shop – http://makepeacestudios.etsy.com – is 25% off for a few more days! Don’t miss out. 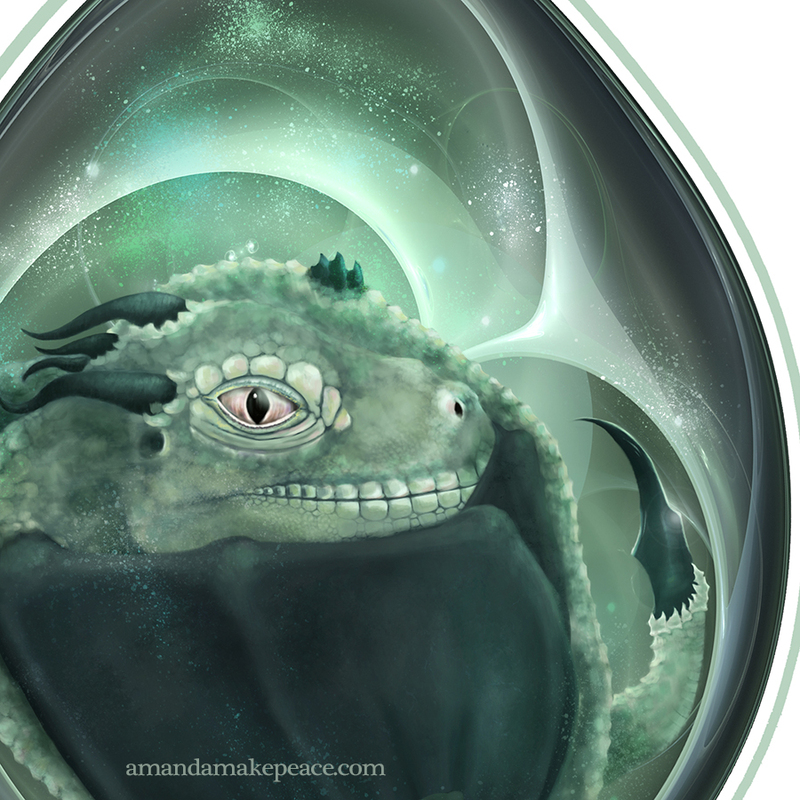 Tagged art, art show, digital painting, Dragon, dragon egg, DragonCon 2014, fantasy art, makepeaceart. Love this! ‘Dragon’s Egg’ always one of my favourites!